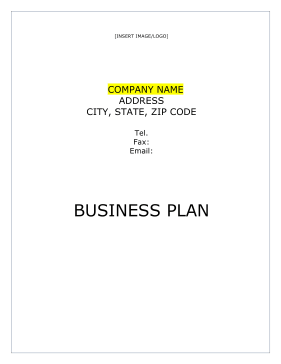 Insurance companies can work to track referrals, increase clientele and open new branches within local markets with this free, printable business plan. COMPANY NAME is a family owned business that was born out of determination twelve years ago. Today, the company still maintains the same energy, initiative, drive and determination. COMPANY NAME continues to grow day by day and the company now services over 1,252 clients daily. COMPANY NAME expects this number to grow as the company introduces more insurance companies as options for clients. 1. To increase clientele by 10% over the previous year. 2. To implement advertising and efficient tracking of referrals. 3. To implement a more concerted conservation plan. 4. To open a new branch office in [CITY] and [CITY] in the state of [STATE]. COMPANY NAME is best suited to offer the company's clients the personal service that lacks in today's business environment. The company takes pride in obtaining the lowest price, however, being able to offer the best and most insurance coverage to the company's clients. In addition, COMPANY NAME feels strongly about continuing to assist in educating the company's clients in the basics for understanding their insurance needs and what options clients have available. 1. The conservation of existing customers. 3. The education of the company's present and future clients on their insurance needs. COMPANY NAME is a family owned and operated company for the past thirteen years. COMPANY NAME takes pride in what it has to offer by offering "A" carriers the company's clients. COMPANY NAME is not locked into any exclusive contract with one company. By being an independent entity, the company is allowed to shop around for the lowest and best price coverage for clients. Having over 133 years of insurance experience in the office among the company's Agents, COMPANY NAME feels that it has the drive, the passion and what it takes to be the first choice for present and future client needs. The company offers personal service and by employing three licensed agents and two customer service representatives. COMPANY NAME's office has been located in both [CITY], [STATE] and [CITY], [STATE] for over thirteen years. The company, COMPANY NAME, is an S Corporation registered owned by OWNER'S NAME. OWNER'S NAME currently owns one hundred percent of the company.